As we begin 2017, we asked Michigan Professional Insurance Exchange’s Vice President of Risk and Client Services, Margaret Curtin, MPA, HCA, CPHRM, DFASHRM, CPCU, to share her insight on being successful in the industry and on direction of the industry. What advice would you give a healthcare organization trying to transition from a reactive to a proactive risk management and patient safety program? Having the right culture and the right staff in place is crucial to an organization's ability to move toward a more proactive Enterprise Risk Management (ERM) model and putting some proactive strategies in place around risk. The right culture is one that embraces patient safety and where staff are not afraid to report. A just culture establishes an environment that communicates to staff that the organization supports them. It first looks for an issue with the system before seeking to blame the individual. This does not mean that individual accountability for action is absent. Embracing a just culture philosophy involves creating a safe environment for staff around your event-reporting and RCA process. A just culture starts with a leader in risk who is on the forefront of the patient safety movement. 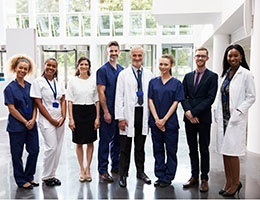 A risk leader who is connected and learning about proactive patient safety is more likely to influence the C-Suite to support a proactive patient safety movement. Sometimes staff on the floor only see a risk manager when something has gone wrong. That's not the influencer role we would want for our risk management and patient safety leaders. Leaders should be out on the floor, with staff, being proactive. The right staffing can be a bigger challenge depending on the size of your organization. Large hospitals can usually attract highly talented, well-skilled individuals to work in their risk departments. Smaller hospitals struggle more with staffing and might have risk managers who wear multiple hats and are spread too thin. Juggling multiple priorities conflicts with a person’s ability to focus on any one area and makes it hard to move away from just putting out fires. Another staffing challenge is finding seasoned risk professionals or just risk individuals who you can teach up to fill some of the vacancies that we're seeing. I’m not sure what to attribute this component to other than the graying of society. We're losing a lot of our risk staff to retirement. What are the habits of organizations with successful ERM programs? Successful organizations have a framework set up that allows them to see potential risks presented in all parts of the organization and how interconnected these risks are; this ensures the best overall risk identification and positive impact on the entire organization before the impact occurs. The most important habit is to be visible to the organization – both the risk manager and the risk department. Communication is key. And so is staffing – having the resources to put yourself out there as a value to your organization. The risk manager is often the last person to hear about a new project. This should never happen if you’re able to get your organization to embrace an ERM model. With an ERM model, any type of risk that comes to the organization goes through the risk management department for consideration as to how it impacts other aspects of the business rather than risk just focusing on loss control or patient safety. Each department leader throughout the organization needs to understand that any new endeavour, contract or construction really needs to funnel through the risk department. Successful organizations broaden the role of the risk manager into looking at all risk company-wide. What role does patient safety education play in your business and what kind of value has that education brought to your organization and insureds? The type of education we provide is aimed to differentiate us in the competitive Medical Professional Liability (MPL) insurance market. We provide patient safety and loss mitigation education as a high-value service with the goal of minimizing risk, increasing patient safety, and helping in the defense of litigation. It’s one aspect of what sets us apart from other MPL companies. It’s hard to measure the value that loss prevention education plays, but I believe anyone who is in this field will tell you that the education we provide does minimize risk. Increases in patient safety minimize risk and help us in the defense of litigation if it occurs. In what key areas should organizations focus in 2017? 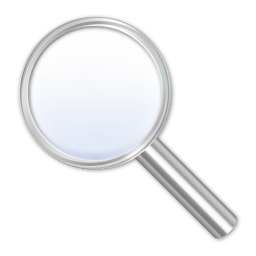 Where are you focusing education efforts and why? Our clients trust us to choose education that’s appropriate for them based on several factors. I do a lot of data analysis, sifting through what we’re seeing locally and what the industry is seeing nationally. I also talk to colleagues in the industry about their claims loss areas and changes in the scope of their practice. I also look at specialty-specific areas that might be vulnerable and what they're grappling with from both loss control and patient safety perspectives. We tend to focus in the highest risk areas to have the highest potential impact. We also base course selection on specific feedback that I've received from clients. Folks really like something that keeps it simple and that they feel is focused on them and their specialty. ED, OB and Surgery are the biggest opportunity areas for impact on patient safety and loss control. Then we scale to those specialities where we have a larger presence. The other area of interest that we're really seeing across the board relates to advanced practice professionals (APPs). There’s new legislation around how APPs practice. Certain states give them more freedom to practice, which in turn has the potential for more liability for the physicians whose policies they are on or have an employment relationship with. Physicians are questioning how they should be utilizing their APPs. Finally, I want to be sure that we can deliver education however individuals learn best, especially when it’s a critical topic. How do you measure the success of an education program? We consider a program successful if it provides high-quality education that’s relevant and simple for the client to complete when they want to. We gauge success on CME evaluation scores and the direct feedback from our clients. How do organizations you work with engage their clinicians to stay motivated and engaged in education programs? Most MPL companies offer premium reductions for participation. Employers may include risk education as part of a contractual or performance expectation. I find the best way to encourage clinician engagement is to ask them what they want to hear about. For example, I discovered a group of clinicians that wanted to learn more about sepsis because they were seeing this at the bedside. Sepsis wasn’t necessarily on my radar at the time because I wasn’t seeing litigation or patient safety issues around it. Sepsis is in the forefront of minds much more now, but the clinicians brought this up. To address it, we had a national expert come in and talk to them about it. What are you hearing from healthcare organizations about their major concerns or areas of vulnerability moving into 2017? For independent physician practices, it’s survival. Are we going to get paid? Are we going to have to join a hospital or a larger medical group? Hospitals are also concerned about what's going to happen with payment under the new administration. They’re starting to deal with some of the cuts that have already occurred. Cyber threats are another big concern for both physician practices and hospitals. Hacking healthcare has become an easy money-maker for terrorists and extortionists. I think that's only going to increase. There's such a lack of knowledge in this area. Cyber will probably be one of the biggest push areas for education and desire for more knowledge in 2017. What advice would you give to yourself earlier in your career that you know now? There is one piece of advice I have that applies no matter where you are in the organization, whether you're in a smaller hospital or you're in a large trauma center. The biggest thing that helps you out is your networking. Networking really does come through either your local state risk management chapters or through the national chapter of ASHRM. Networking builds your core group of colleagues that you can go to when you have questions or when you just need some moral support. It can really help you not only achieve your goals, but it’s what brings change to an organization around patient safety and risk management. Also, read a lot. You should be connected with lots of different patient safety and risk management publications as well as blogs and newsfeeds. I find LinkedIn and the ASHRM blogs to be of most value.